For the completion of the Diploma Program CAS, we got the wonderful opportunity to engage in a project. The first thought of who to dedicate this project to was Door Step school. Doorstep school is a non-profit organisation which offers education to children of labour worker families. Many of these children were forced to dropout of school as they had to work or care for the younger siblings and have limited access to books and other educational tools. Door Step is trying to close the gap by providing education at the doorstep of these underprivileged children. I have been working with this organisation for over one and a half year as I have taught them simple conversation english through games and activities. Thus, half of the group came up with the idea of raising money for Doorstep school. By being a non-profit organisation, the organisation is solely relying on donations and therefore, we could achieve the most impact to the life of those children. The first step we took related to the different option on how we can raise money. Since International Carnival at MBIS was just two weeks away, we saw the opportunity to use this event to set up a fundraiser. The different activities, we decided on doing, included a flea market and game stalls. To figure out the logistics, we met every week and planned the activity. We guaranteed maximum efficiency by splitting up the task between all of the four group members. 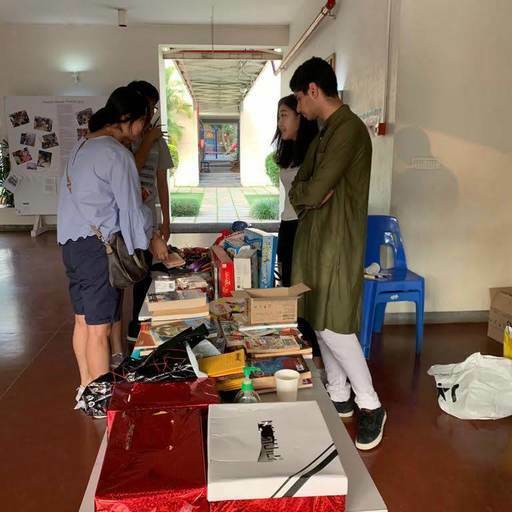 Firstly, we decided to get the items, which we want to sell on the flea market, from donations by students. We sent out a mass email to spread awareness of the donation box we set up in the reception. This idea worked out for both parties as the donors didn’t have to throw away items which they wouldn’t use anymore and we could sell it to someone, who finds a use for it. Furthermore, we disussed the different game stalls we could set up and came up with various ideas such as ring toss and a box, where the participant has to guess its content. As a reward to score good on those games, we would give them chocolate. The chocolates were my task to provide. I used the opportunity to contact Ferrero and send them a request to provide the chocolate for a good cause. They were willing to provide the chocolate and therefore, our group was set to raise money on the International Carnival. On Saturday the 27th October, the International Carnival was happening on the MBIS football field and our chance to raise as much money as possible for Door Step school. 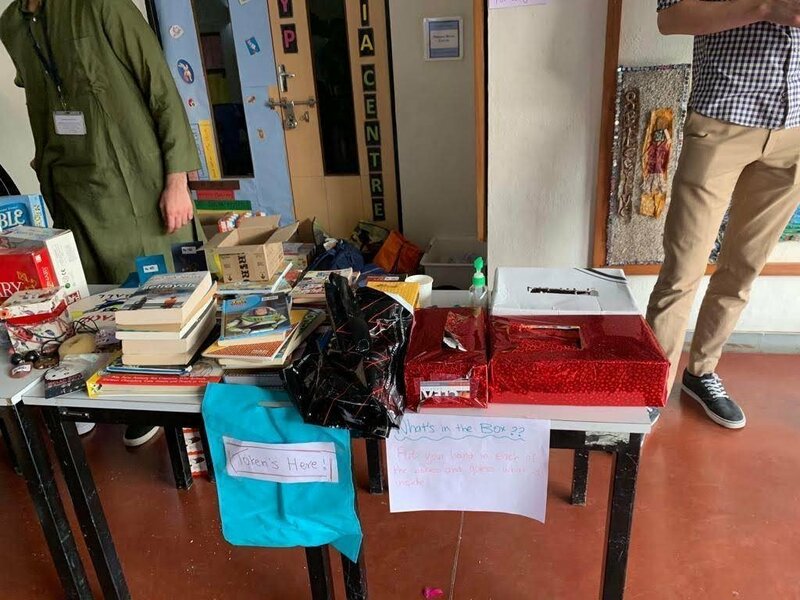 Despite requesting a stall, the organisers forgot about our flea market and therefore, we had to improvise to get required tables and a spot to set up the fundraiser. Since we came more than an hour early, we had the required time to set it up and could get started on time. Sadly, we didn’t get the required attention to raise a good amount of money, so we asked to make an announcement over the microphone and people started streaming to our stall and the market was booming. At the end of the night, we raised an amount of money of 15 thousand rupees and therefore was a huge success. Now we were ready to take next steps. We needed around a month to contact the manager to Door Step school as he was really busy. When we were finally able to talk to him, we could ask him what would be the most required items, the school would need. He didn’t need to think for a long time and gave us a list of items, which included textbooks, picture books in Marathi, colouring pens and watercolor. When we got the request, we immediately met up again and made an ordered all the requested material. Since the manager told us that the school teaches around 40 students, we had to buy the materials in large quantities, which wasn’t a problem due to the large amount of money we raised. On the 19th March, we were finally able to giver the materials the teachers of Door step school and thereby finished our CAS project. Overall, this project gave me the chance of having a meaningful impact on the life of an underprivileged child by providing educational resources. I, myself have learned how to organize a fundraiser and planned this whole project throughout. Most importantly was the fact that working collaborative will bring the best result and therefore, I am grateful to be part of this project.